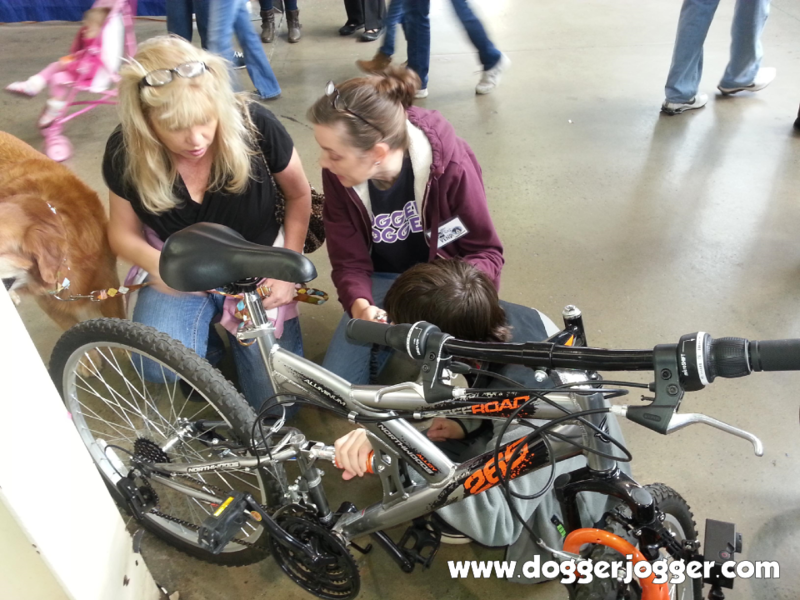 Last weekend we had the pleasure of attending the Great Iowa Pet Expo in Des Moines. We set up a DoggerJogger booth and braced ourselves for thousands of dog lovers who might want to find out firsthand what makes the DoggerJogger the best way to jog your dog. Wow! What an experience! 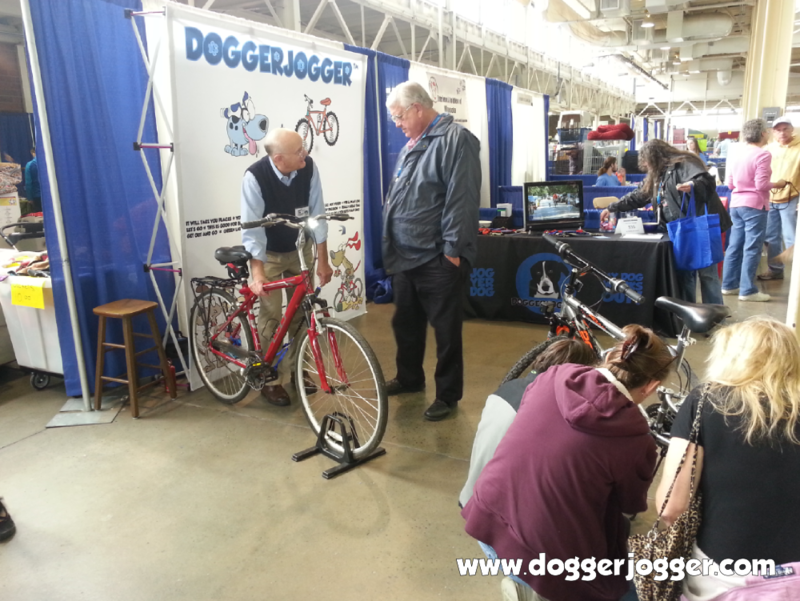 Because of advance advertising, many people came to the expo with the goal of seeing and learning about our special bicycle dog leash system. However, many others simply browsed to our booth and saw it for the first time. As it was, everybody had the opportunity to ride a bike and jog their own dog right inside the exhibit hall! Initially, I was a little concerned about new dogs and new riders buzzing the expo as first-timers, but as it was revealed, absolutely no problem! 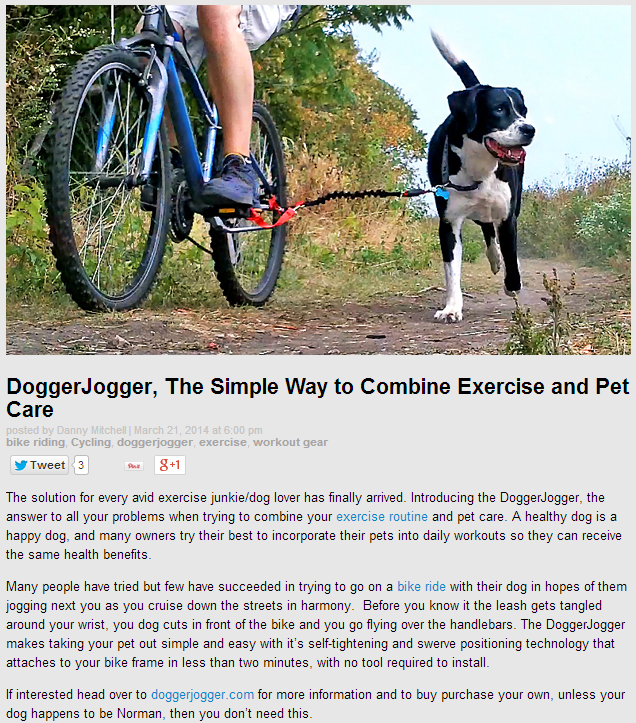 Despite all the other distracting dogs, loud music and thousands of expo attendees, the DoggerJogger did its job every time. Each dog hopped beside its owner and rode around the hall, surprising onlookers and owners alike, but of course, not us. Many of the test riders also decided to go outdoors and take a ride around the fairgrounds for 1/4 or 1/2 mile loops…and every time they would return with the same response: AMAZING! 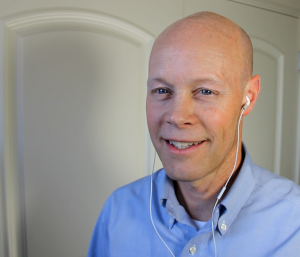 Why it works is based on dog psychology and behavior. You see, dogs are pack animals who have a need for a strong leader and fulfilling activities. 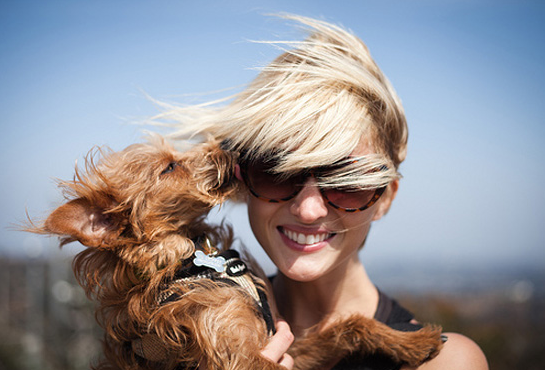 When an owner rides with the DoggerJogger, her physical presence above and slightly ahead of her dog indicates leadership and control. 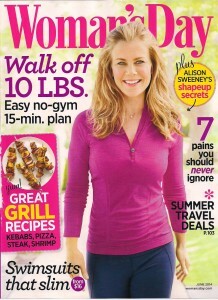 As opposed to walking a dog on a leash, when the dog is jogging with the DoggerJogger it cannot run ahead. Therefore, it maintains its position consistently at the side of the owner. For a dog, knowing its place and doing something together with its owner actually generates feelings of both content and comfort. The dog is LOVING the intellectual challenge, FOLLOWING its leader’s every move and EXERCISING at a vigorous pace. The dog is getting everything it needs, intellectually, emotionally and physically, all at the same time! No wonder the other dogs don’t distract him–he has a job to do and he is focused. Pretty cool, right? 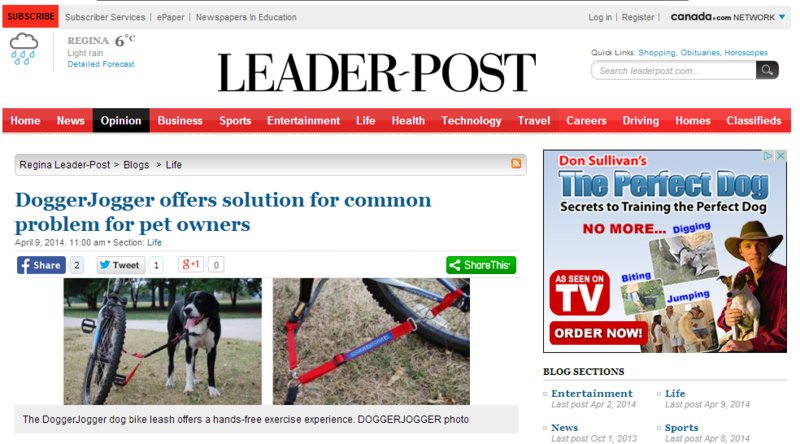 If you have a DoggerJogger, please continue to spread the word of the most incredible new dog exercise product on the market! 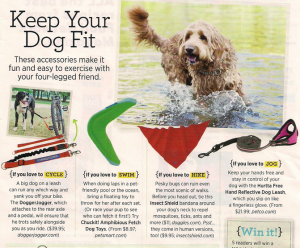 If you have not bought one yet, please go to www.doggerjogger.com so we can send one to you as soon as possible! 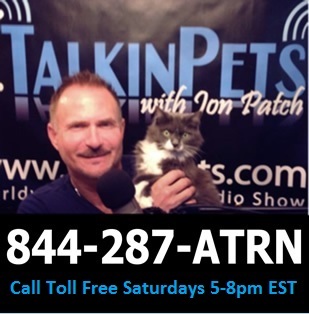 Either way, keep the photos and videos coming so we can place your experiences on the website or Facebook page and spread the word of the best way to improve the quality years of your dog’s life. We are heading to Indianapolis to the www.greatindypetexpo.com for the weekend of November 9th and 10th. 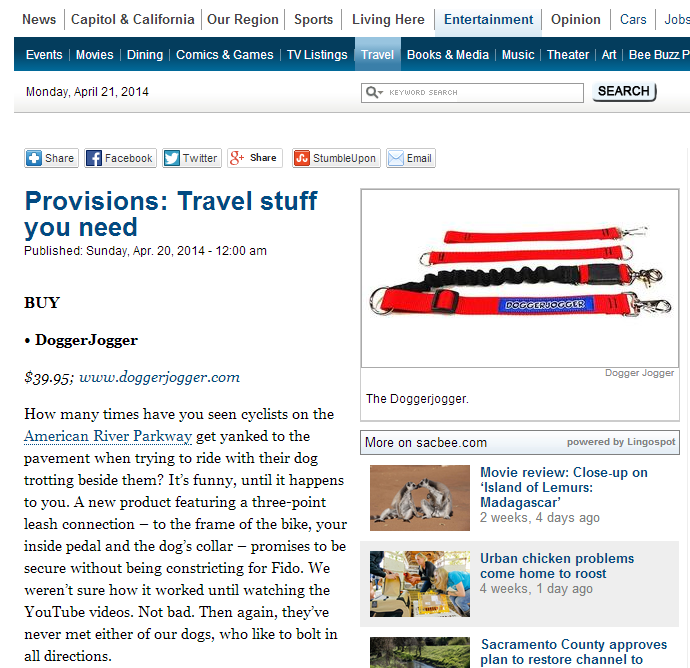 If you are in the area, please stop and visit us at the www.doggerjogger.com exhibit!